The multi-tiered design is sure to be a winner. 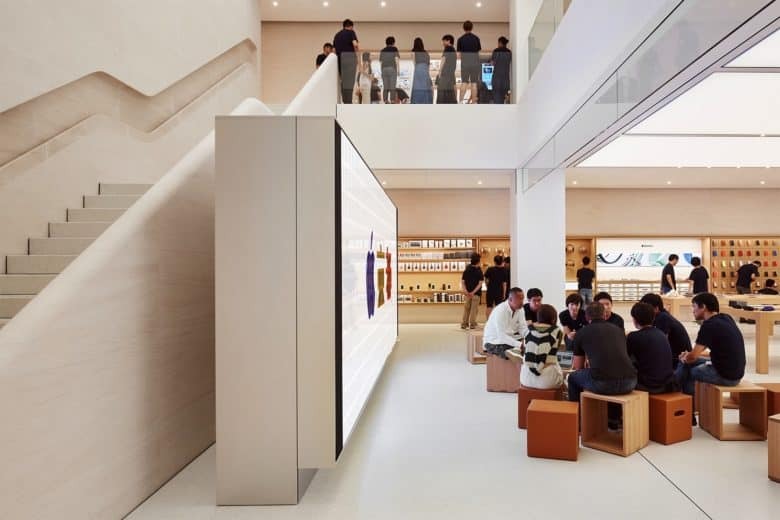 Ahead of this Sunday’s opening of Apple’s first store in Kyoto, Japan, the company has published a few images of the store — showing the interior of what looks to be a stunning addition to Apple’s high-end retail outlets. The store is located on one of Kyoto’s main shopping streets, surrounded by some of Kyoto’s most famous shrines and temples. The Apple Store pays homage to Japanese culture and design, while still maintaining a uniquely Apple look. The building itself is centered around a multi-level atrium. 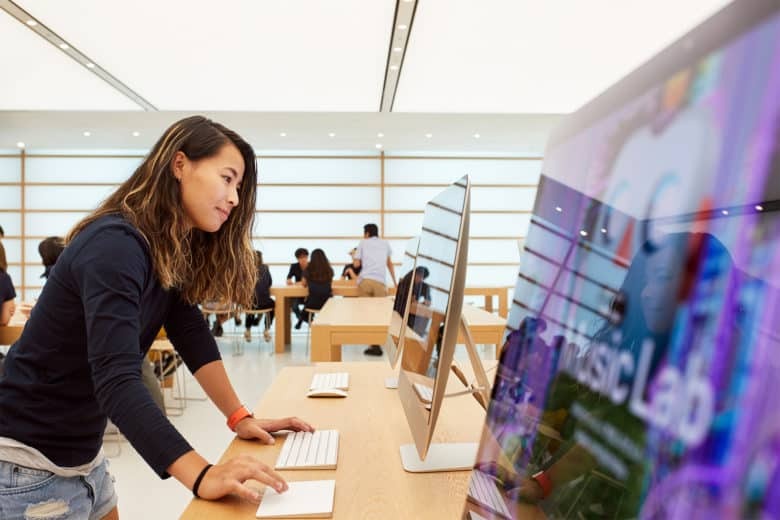 It will offer the usual shopping experience, plus daily “Today at Apple” sessions, covering photography, music, coding, and more. Apple Kyoto from the outside. The design pays tribute to classic Japanese interiors. Apple Kyoto is the ninth Apple Store to be opened in Japan, and comes approximately 15 years after Japan was selected in 2003 as the first country outside of the U.S. to receive an Apple Store. Apple has long had a connection with Japan, thanks partially to Steve Jobs’ love of the country. Jobs had a lifelong affection for Japan, and visited often. Perhaps the most memorable bit of Kyoto-related Steve Jobs trivia is that this was the vacation destination Jobs was returning from in 2010, when he was reportedly stopped at the airport for trying to smuggle ninja stars. Apple denies that this story took place, although acknowledges that Steve was in Kyoto at the time. 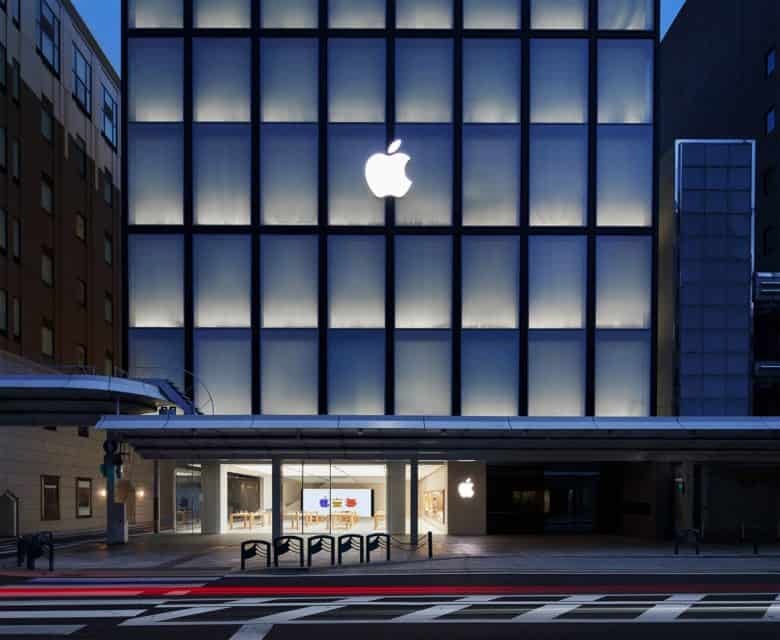 Apple’s new store comes at an interesting time for Apple in Japan. Although iPhones are incredibly popular in the country, Japanese regulators recently accused Apple of violating anti-trust laws by forcing carriers to subsidize iPhones.